Cheap Weekend Fun in Boston for March 14-15, 2015! 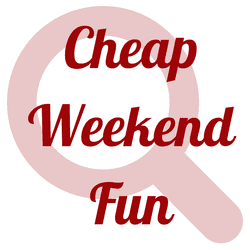 Here are some fun and cheap things to do in Boston this weekend! Please let me know in the comments below if I missed any fun and free Boston events! Saint Patrick’s Day Parade: Sunday, March 15, 2015 at 1pm in South Boston. Head to South Boston to celebrate Saint Patrick’s day with their annual parade and fun. Taste of Iceland: March 12-16, 2015 around Boston. There’s a lot of fun things to do this weekend to get a taste of Iceland including free concert on Saturday! St. Patrick’s Day at South Street Diner: March 14-17, 2015 at the South Street Diner in Boston. Celebrate St. Patrick’s Day at the South Street Diner with corned beef and cabbage with potatoes, carrots, Irish soda bread and a pint of Guinness for $10. Meet the Makers: Saturday, March 14th from 1-3pm in the North End. Stroll through the North End and meet the makers of your favorite hand-crafted goods! Pics in the Park: Sunday, March 15, 2015 at Adams Park in Roslindale. Enjoy a free photography workshop with a professional photographer. All levels and skills welcome. Also, this Saturday is Pi Day (3.14) so there a few deals and celebrations to be had! Let me know if I missed any good ones since I did the post on the early side this year.